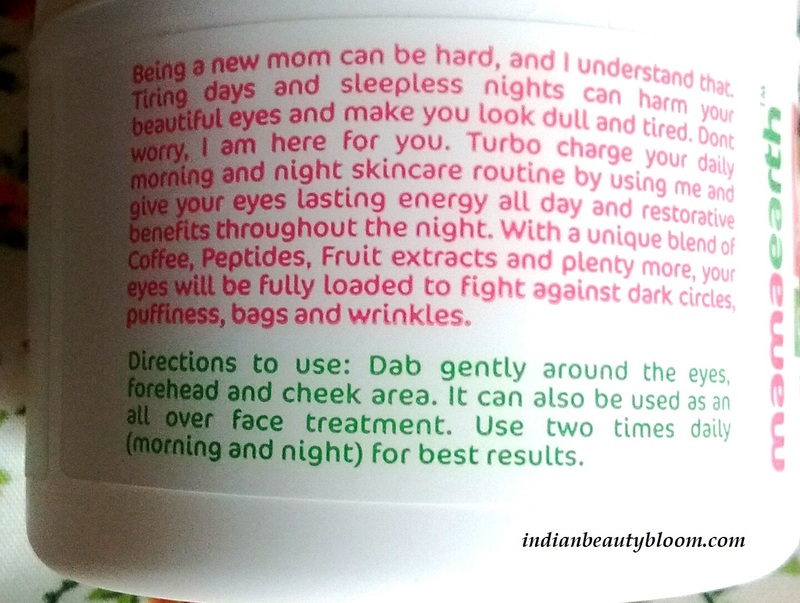 Back with one more review of a Mama Earth Product . 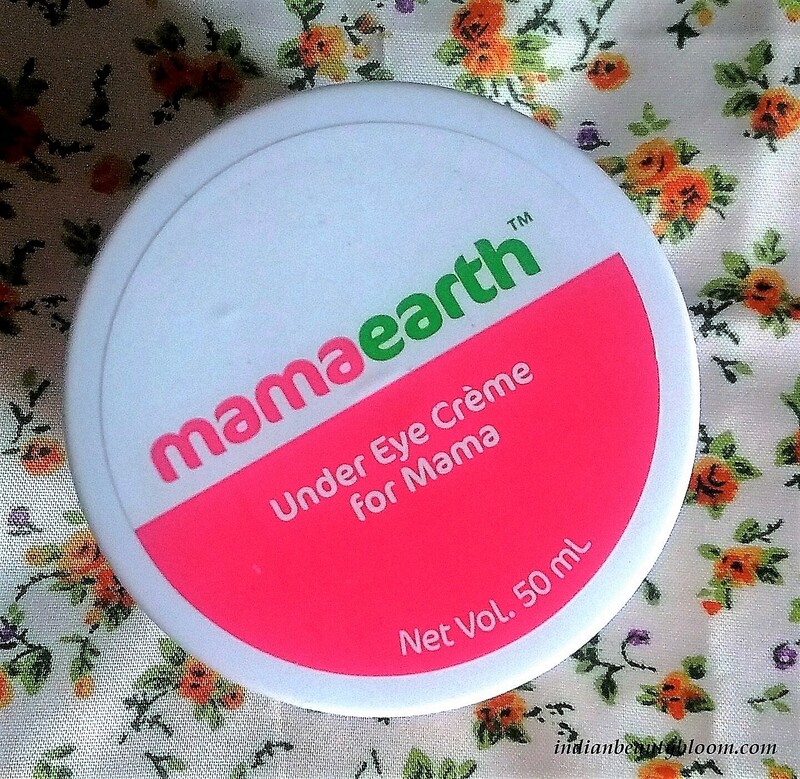 Today I am going to review it’s Under Eye Creme for Mama. This Under Eye Creme for mama is a new launch in Mama Care Range of Mama Earth Products . The product is meant for dark circles and puffy eyes . It has goodness of coffee , cucumber & white Lily extract . 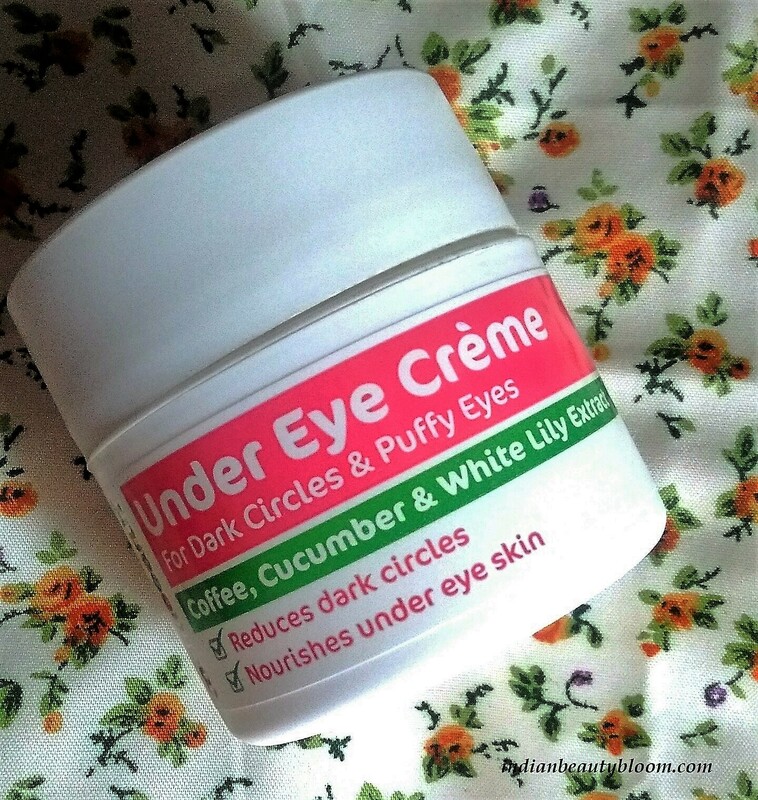 It nourishes the under eye skin and reduces dark circles . 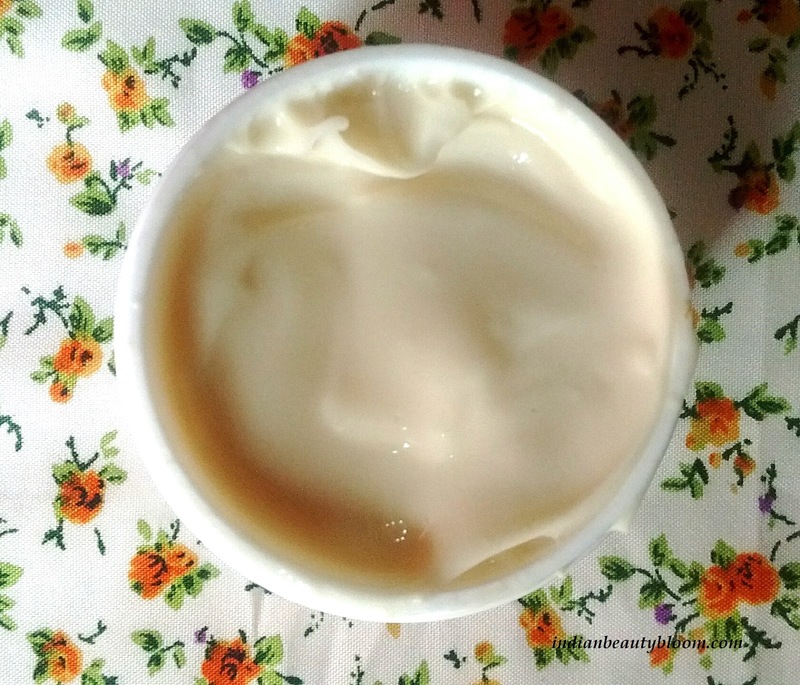 The cream is a light yellow color thick cream with a nice fragrance . 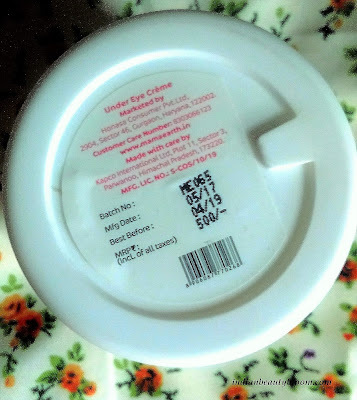 One needs just a little amount of it to use it as an under eye cream . 1. Contains Vitamin C which helps to reduce inflammation and treats puffy eyes . 2. Cucumber and white Lily helps to reduce dark circles . 3. A Toxin free dermatologically tested product . 4. Free of Parabens , SLS , Phthalates & Mineral Oil . 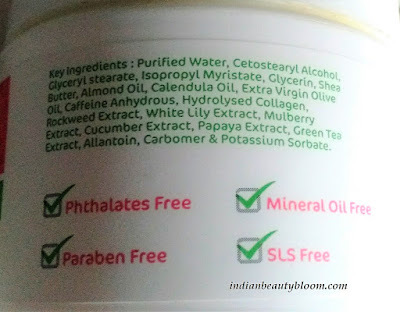 5.Free of dyes & Synthetic Fragrance . 6. Product does what it claims , helps to reduce dark circles . 7. Can also be used as a Night Cream . 8. Easily available on Online stores like Amazon & Nykaa. 1. Tub Packaging is not too hygienic and is not travel friendly . 2. Price may seems bit high but since little quantity of product is required , one pack will last long . The product claims to reduce dark circles , puffy eyes . I am using this product past few days ( more than 10 days ) . One needs to dab it gently around the eyes , forehead and cheek area , one can also use this on face . One needs to apply this twice a day to get some good results . Will Surely Suggest others to give it a try if they are looking for a toxin free eye cream which gives good results .